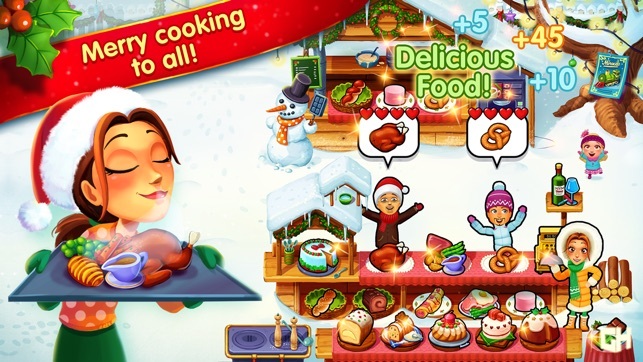 GameHouse presents Delicious, the award-winning game series that combines cooking dishes with a captivating story! In this wonderful Christmas tale, Emily plans a family trip to a cute little cottage for the holidays. Everybody embarks northbound on the Miracle Express, excited for an amazing adventure. However, they soon discover someone else is already living in their cottage... What are you waiting for? Bake a big batch of cookies for Santa, make some eggnog, and settle in with a hot drink to warm up your Christmas spirit! BE PART OF A BEAUTIFUL CHRISTMAS TALE! Can't get enough of the Christmas feeling? Emily's Christmas Carol is one of the most amazing story games online! USE DELICIOUS STICKERS! 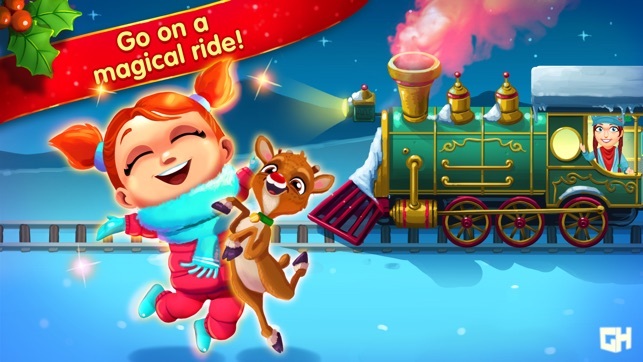 Feel the Christmas spirit with amazing stickers based on Delicious - Emily's Christmas Carol! Use the stickers to add more fun, love, and joy to your iMessages. Enjoy chatting! Download the GameHouse Original Stories App for free, and be the first to know about new story game releases! I hope that you continue to enjoy the games as much as we enjoy making them! 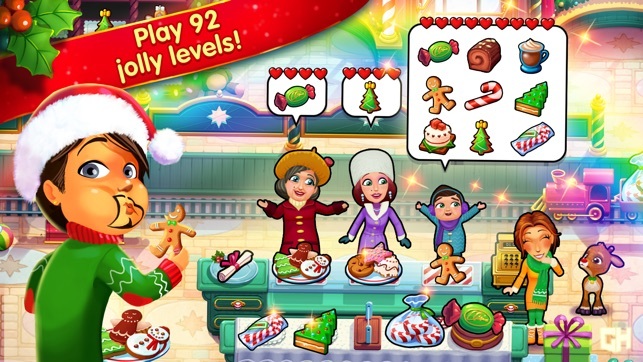 I have played almost all of your games and I enjoy them soo much but this one has a nice story and the time line is around christmas and I love that but I don’t know whats happening with the game, I’m currently in the reindeer’s farm in the bonus game number 16 and all the sudden while i’m playing an advertisement pops up (I did not purchase the game) out of nowhere and the first couple of times I skip it but if i don’t do that another level starts and it’s really getting annoying because I can finish that level. I want to give this game three and even two stars but I just really like the theme of the game but please fix your bugs. Thank you for your feedback. 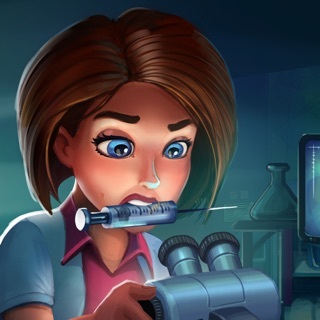 Could you please email us at ghos@gamehouse.com with more information (your device, the operating system, the bug, and the game) so that we can assist with the problem? Thank you for your help! I have been a fan of the Delicious series for a couple of years now and I think this might be my favorite entry to date! Watching the game come to life throughout the design process was simply wonderful and made the final result all the more enchanting! From the art to the lovingly-orchestrated festive music, Emily’s Christmas Carol is undeniably filled to the brim with character and warmth. 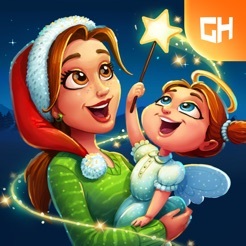 While this entry is heavily entrenched in the story of the previous entries, I would recommend this to anybody looking for a festive time management game and an endearing story, even if they’re not familiar with Delicious. Keep up the fantastic work, GameHouse!